Eating healthy for two doesn't have to mean giving up these Filipino favorites. Eating a well-balanced diet is essential during pregnancy. Because you're eating also for your baby in utero, you need to ramp up your intake of vitamins and minerals. Remember: Your baby can absorb the nutrients in the food you eat, so you have to be very picky with your food choices. Found some chicken and sayote in the ref? Whip up some tinola! Tinolang manok with sayote is rich in folic acid, a B vitamin crucial to DNA production and reduction of the risk of birth defects. Also, the chicken makes it a good source of protein for the growth and development of the baby inside your womb. Add malunggay leaves, a galactagogue (something that helps increase milk supply), to tinola and you have a dish that's good for lactating moms. Taking in more liquids such as soup also helps increase milk supply, too. 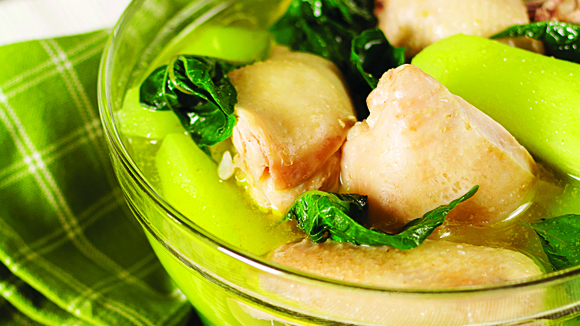 Try this basic chicken tinola recipe. This mixed-vegetable dish is packed with fiber, which improves digestion and mobility, and vitamin A, which aids in fetal cell growth and eye health. Pinakbet also has powerful antioxidants that detoxify the body and strengthen the immune system. Try this budget-friendly pinakbet recipe. With mung beans and leafy vegetables as its main components, this Friday favorite is a good source of essential nutrients for moms-to-be. Ginisang monggo has calcium, potassium, zinc, and magnesium—minerals that keep the heart healthy and boost the body's ability to fight diseases. 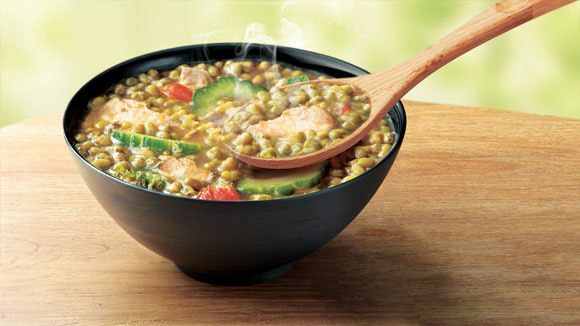 Try this ginisang monggo recipe. Craving something sour? Good thing sinigang is one of the healthiest food options a pregnant woman can eat. 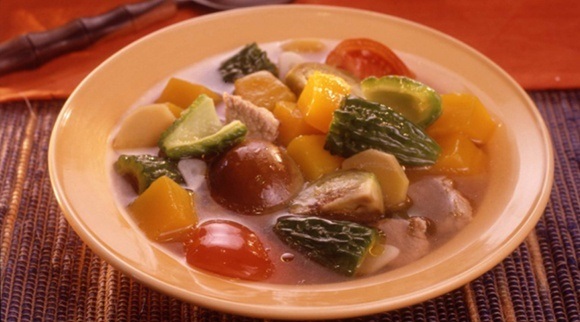 Eating protein-rich sinigang na isda helps in the brain and body development of your baby. Choose salmon or milkfish, which contains more omega-3 fatty acids than other types of fish. 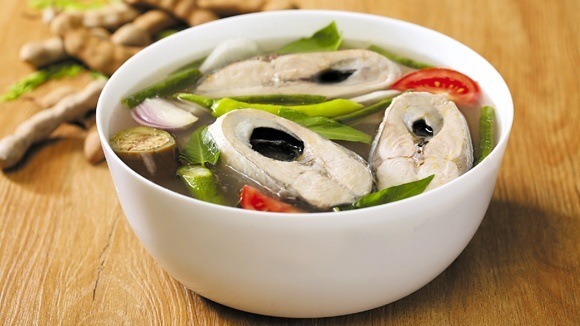 Try this sinigang na bangus recipe. 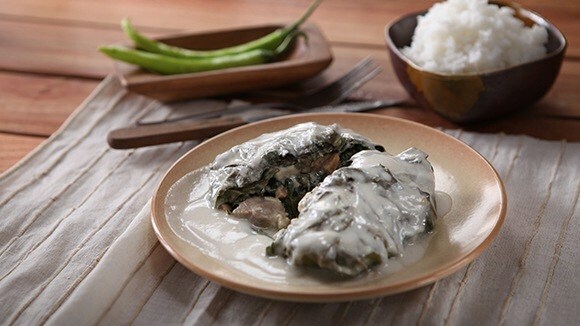 Brimming with nutrient-rich ingredients such as coconut milk and gabi leaves, laing is another healthy ulam for pregnant Pinays. For one, the iron found in gabi increases the production of red blood cells, which help supply the fetus with oxygen and nutrients. Laing is also loaded with calcium for strong bones and teeth. Try this pork with laing recipe.